Perfection starts with precision of design and development. The NX75 mod represents Aspires commitment to produce the pinnacle of vaping products. Refined lines and high-level design accents are apparent throughout the entire device. Intuitively designed for easy navigation through the menu, the NX75 Mod from Aspire allows the user to easily access his or her wattage mode or temperature modes for quick changes. The NX75 mod requires (1) 18650 battery (batteries sold separately) and is replaced through the magnetic battery panel to get you from 0 to 75 watts of power in a pinch. Made to perform more efficiently, the Atlantis EVO allows high VG eliquid to be used within the tank. Constructed out of stainless steel with a Pyrex glass tank, here we see premiere Aspire quality that has made them a well known brand in the vaping industry. The Aspire Atlantis EVO represents the zenith of recent sub-ohm tank evolution. Double wicking efficiency teamed with lower positioned wick points create ultra-efficient juice flow. 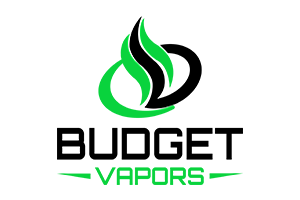 This optimized design allows high VG E-Liquid an even faster route to the coil system. The EVO breathes without a hitch when you require thick dense vapor production. Both Standard & Extended EVO kits include 0.4Ω and 0.5Ω sub-ohm coils for an optimized vaping experience.